The Australian Logistics Council (ALC) has reiterated its support for making telematics equipment compulsory on Australian heavy vehicles in a new position paper, released as it presented evidence to a New South Wales parliamentary inquiry. The position paper was tabled today during ALC MD Michael Kilgariff’s appearance before the NSW Parliamentary Joint Standing Committee on Road Safety, also known as the Staysafe Committee, for a hearing related to its inquiry into heavy vehicle safety and the use of technology to improve it. Kilgariff says the introduction of compulsory telematics equipment had industry support, with Toll Group managing director Michael Byrne supporting it in a letter to prime minister Malcolm Turnbull earlier this year. "It is vitally important that public conversations regarding heavy vehicle safety focus on the practical policy reforms that will make a genuine difference, and not become side-tracked by discussions about other matters, such as the role of the former Road Safety Remuneration Tribunal (RSRT), and its so-called ‘Safe Rates’ regime," he adds. Kilgariff also says heavy vehicle operators should be required to comply with an agreed set of national operating standards, such as those in the United Kingdom, United States, Canada and New Zealand. "This National Operating Standard would require a heavy vehicle operator to have both the financial capacity to operate a business as well as adopting a uniform safety management system," he says. "ALC’s Position Paper does this by proposing a series of safety-focused measures that will meet the clear desire within industry and the wider community to improve heavy vehicle safety." 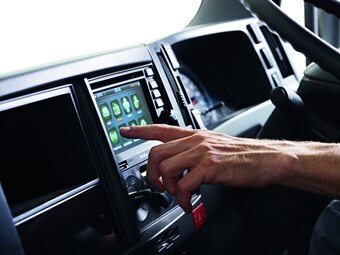 In addition to the call for telematics, the ALC says two other factors will boost the planned chain of responsibility provisions within the Heavy Vehicle National Law (HVNL) – a demonstration of the operator’s financial capacity and ensuring its safety management system complies with HVNL operating standards. The ALC says that, as maintenance is often the first thing cut when times are tough, a standard similar to that in New South Wales’ Passenger Transport (General) Regulation 2017 would help boost public confidence in heavy vehicle operators. Under that act, a company must provide evidence of their financial standing from a third party accountant as well as a statement specifying the number of vehicles that the accountant believes, the applicant can support. "If this standard is good enough for vehicles carrying people it should be good enough for heavy vehicles carrying freight," the report states. The introduction of a safety management system would need to come with the accreditation of auditors to ensure that the systems in place were being complied with. "This would not only improve the management abilities of heavy vehicle operators, but also provide regulators with some of the data necessary to identify the types of practices that are adopted (or not adopted) by operators that are indications of risk," the ALC says.